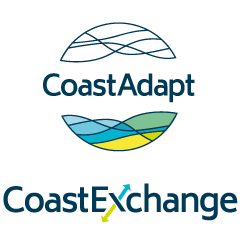 CoastAdapt contains a very large amount of information, data, tools and guidance, and it can sometimes be difficult to find exactly what you want. Here we have assembled some of the key items in CoastAdapt that will answer your ‘How to...’ questions. Many of them are entry points to whole areas of information and support in CoastAdapt on important adaptation topics. If you have found other items in CoastAdapt that you think should appear here, please let us know by contacting info-nccarf@griffith.edu.au with ‘How to’ in the subject line. Collaboration can achieve many beneficial outcomes for adaptation in areas such as stakeholder participation and buy-in, financing and information availability. Lack of collaboration may result in maladaptation as the scales of the response will not match the scales of the risk. National mapping and visualisation products are available that can contribute to the assessment of coastal risk under climate change. Most of these products are directly available from CoastAdapt. Decision making for coastal adaptation is often bound up in uncertainties that make it hard to get organisational buy-in for action. There are approaches and tools that can help you get things done. Scenarios of future climate change for use in impact and adaptation studies are available from a number of national and state-level providers. Scenarios of future climate change are useful tools for engaging with stakeholders about the topic of climate change adaptation. The choices that need to be made in building these scenarios will affect the final result and hence the adaptation decisions that may be made. To support different goals, data and resource availability, CoastAdapt provides a three-level risk assessment process (of increasing depth and resource requirements) with guidelines and tools. Scenarios are plausible climate futures, taking into account increasing atmospheric concentrations of greenhouse gases, and usually constructed from computer-based models of the Earth-Ocean-Atmosphere system. They should not be treated as predictions. Scenarios of future climate change, from simple maps and graphs to complex datasets, are an important component of impacts analysis and adaptation planning. Monitoring and evaluation require two types of indicators to be defined at the planning stage; trigger indicators (which will be used to trigger new action or a change of action) and performance indicators. Australia has many readily-available and free sources of present-day and historical climate information and observations. These can be used to make a preliminary assessment of exposure and risk and to determine if further analysis is required. This guide aims to assist the reader step through the process of choosing valuation approaches that are fit for the purpose of the adaptation decision.